This hefty heifer arrived in York after a journey on its own personalised cattle truck. 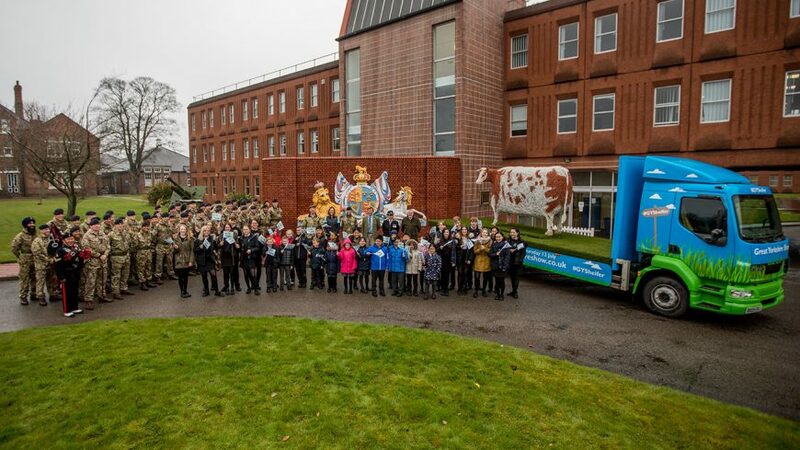 The giant sculpture arrived at the Imphal Barracks in Fulford after a 50-mile road trip. It is a recreation of the Craven Heifer, a giant cow which lived at the Bolton Abbey Estate and caused quite a stir in the 1800s. To this day, this beast is the largest heifer ever shown in England. She was recreated out of steel by Whitby sculptor Emma Stothard to celebrate the 160th Great Yorkshire Show this July. Unveiled at Bolton Abbey, the work was then transported 50 miles to the York barracks, close to where the very first Great Yorkshire Show was held in the Barrack Yard of the 5th Dragoons in 1838. The sculpture is 6ft tall and weighs more than half a tonne, and will appear at the Great Yorkshire Show between July 10-12.